1 What is a Business Broker? 2 Why Work with a Business Broker? When you first started your business, you probably thought you’d be a part of it for the rest of your life. That’s not always the best approach, though. Sometimes, it makes sense to sell your business so you can move on and start a new venture. If you’re considering selling your business, it’s best to work with a business broker. A business broker can speed up the sales process and ensure you get a fair price for your business. Read on to learn more about the benefits of working with a business broker and how you can find the right broker for you. A business broker is someone who helps people to buy and sell businesses. If you’re familiar with a real estate broker, who helps people to buy and sell houses, the idea of a business broker probably makes a lot of sense to you. Business brokers handle various aspects of the business buying and selling process. They estimate the business’s value, advertise its sale, and help facilitate meetings between owners and buyers. Brokers usually have a lot of training and experience in the field of buying and selling businesses. They also tend to have connections with other professionals, including attorneys, accountants, and advisors who can provide help with the financial management aspect of buying or selling a business. In most cases, brokers work on a commission basis. In exchange for their services, they take a percentage (often around 10 percent) of the final sales price of the business. Finding qualified buyers on your own can be quite challenging. When you work with a broker, you don’t have to worry about this aspect of the sales process, or at the very least, you can worry about it a lot less. 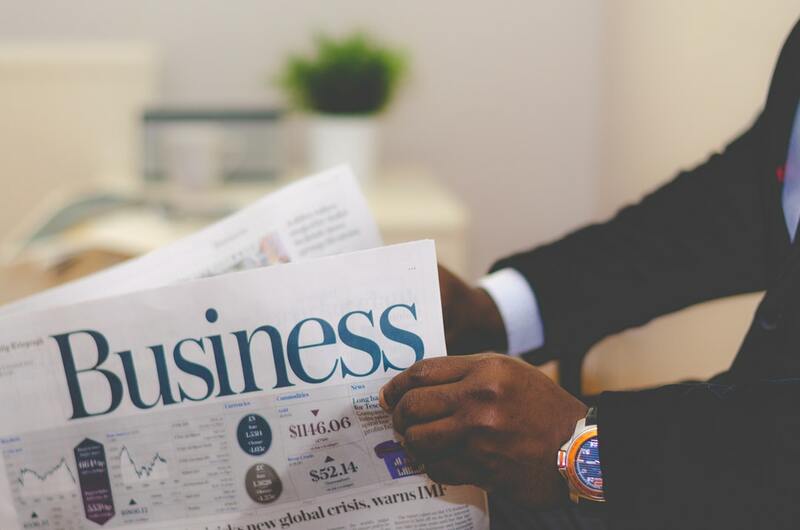 If you’re a buyer looking for a business to acquire, a business broker can also help you find viable businesses worth purchasing. They can help facilitate the search process and make it easier for you to find businesses that meet your needs. If you’re selling your business, you probably don’t want the world to know about it. Working with a broker ensures that the sale will be kept confidential until all the I’s are dotted and T’s are crossed. Business brokers handle all the minutiae related to selling your business. This frees you up to work on other aspects and keep the business running smoothly until it’s sold. You won’t have to worry about keeping too many plates spinning during the sales process. If you have no idea how to market your business and get buyers interested in it, you definitely ought to consider hiring a business broker. Brokers have tons of experience marketing different types of businesses, and they’ll know exactly where to find people who are interested in making a purchase. It can also be challenging to figure out how much to sell your business for. If you’re having a hard time determining the actual worth of your business, or if you just need an objective person to help you calculate the final sales price, a business broker is a great person to have on your team. Business brokers also speed up the sales process quite a lot. If you want to get your business sold as quickly as possible, you definitely shouldn’t try to handle things on your own. Also, remember that selling your company faster will lower the chances of dealing with employee issues or customer defection. Clearly, there are many reasons why you might want to hire a business broker to help you buy or sell a business. How do you choose the right person for the job, though? You shouldn’t trust your business to any old broker. Look for someone who specializes in buying and selling businesses like yours. Be sure to consider the size of the businesses the broker usually buys and sells, too. Ideally, you’ll work with a broker who works with businesses that all have a similar valuation to yours. If your business has a lower valuation than the types of businesses they’re currently working with, you probably will not be a priority client. Money matters, especially when you’re looking at a roughly 10 percent commission. Ask the broker about their fee up front, and try to negotiate them down if you feel that it’s too high. Find out about the process they use to market your business and screen clients. What kinds of procedures do they have in place to find qualified buyers and make sure your business gets seen by the right people? Finally, consider the broker’s background and experience. According to this business brokerage website, it’s best to work with a broker who has a lot of experience buying and selling businesses in your particular area. Find out how long they’ve worked in the area and how long they’ve worked as a broker in general. As you can see, there are plenty of reasons why you might want to work with a business broker to sell your business faster and get the greatest payout for it. If you do decide to hire a broker, keep this information in mind so that you can find the best one for your needs. Are you in need of more business advice? Do you want to learn more before buying a business? Do you need help building your business up before you try and sell it? No matter what your specific business goals are, we’ve got lots of articles that can help you. Start by checking out this article on improving the client communication process.